It had been a long journey for Marie in her battle with Pye Ltd, involving many years of burning the midnight oil; immersing herself in Patent Law; gathering the evidence of Pye’s infringement of her Patent covering the truncated sound reproducing stylus. A journey that had brought in its wake a lot of stress and upheaval for her and the family. 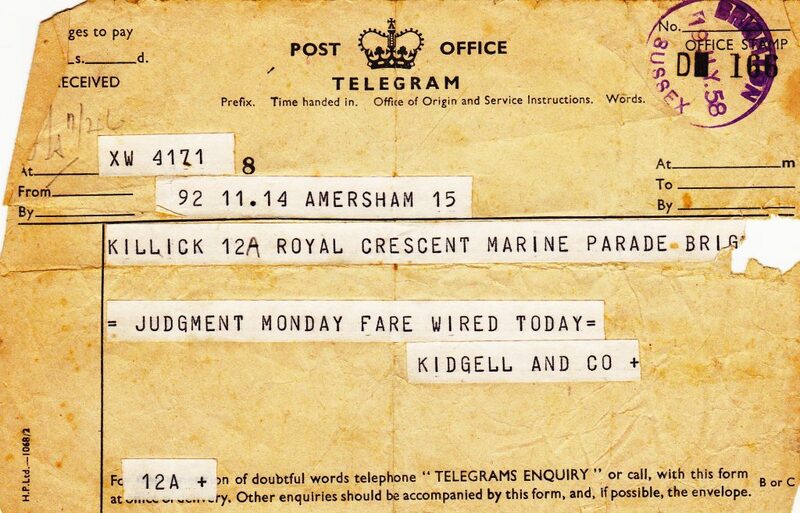 Finances were so tight in the Killick household that her solicitor had to wire her money for the fare to London! Legal victory on Monday 21st December would, she hoped, bring an end to the poverty that she and the children had endured for ten years. Soon she hoped to restart her manufacturing business and move to have her other patents and patent applications around the world restored, to protect her invention. 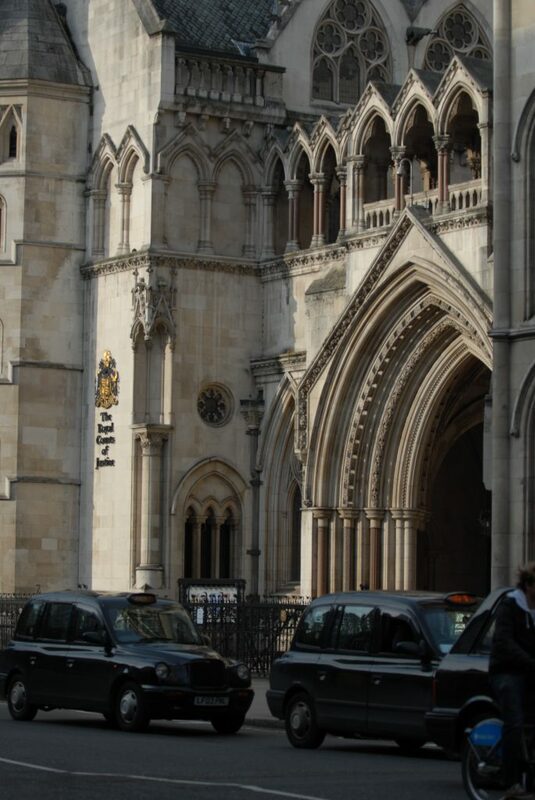 Now finally she had reached her destination – the High Courts of Justice in the Strand, London. She was accompanied by her two eldest daughters, Dawn and Cynthia. As she strode through the cavernous building, she felt the excitement of the moment take hold of her. She searched the lists of court cases displayed in a glass cabinet in the great hall. There it was: Killick V Pye Ltd, to be heard in Chancery Division Court 2. The eminent patent judge, Justice Lloyd-Jacob would hold the outcome of her hard work and sacrifice in his hands. She felt confident that British Justice would not let her down. Here is a short extract from A Sound Revolution: Chapter 33 Infringement or Not? “Mother’s attention returned to the Judge who was covering a point of evidence of the opposition’s expert witness, Mr Myer. Pye were not ready to give up the fight. When Marie was awarded judgement in her favour in the Chancery Court, in the Royal Courts of Justice in London, they lodged an appeal to the Appeal Court. The three appeal judges, Master of the Rolls (Lord Evershed), Lord Justice Romer and Lord Justice Ormerod reviewed the evidence and to our joy upheld the judgement of Justice Lloyd-Jacob that Pye Radio had indeed infringed her Letters Patent covering her invention of a truncated record stylus. Marie had the final legal victory; there were no grounds on which Pye Radio could appeal to the House of Lords. 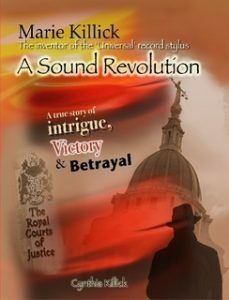 We were jubilant – now at last Marie could, after the assessment of the damages Pye owed her, restart her business and enjoy the fruits of her invention in a growing musical industry. The anxious months of waiting for the decision of Court of Appeal was over. 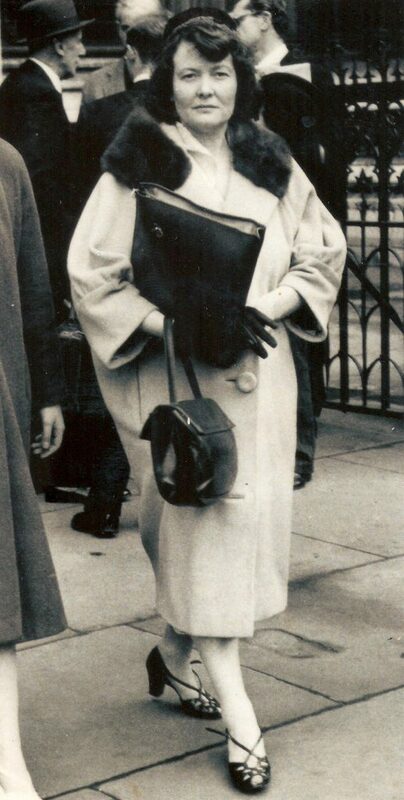 Marie Killick leaving the Royal Courts of Justice in the London after her victory against Pye Ltd. Her damages, when awarded, would enable her to pursue other companies who had been manufacturing her stylus since the restoration of her British Patent in September 1951. Marie was thrilled to be able to be captain of her ship once more. 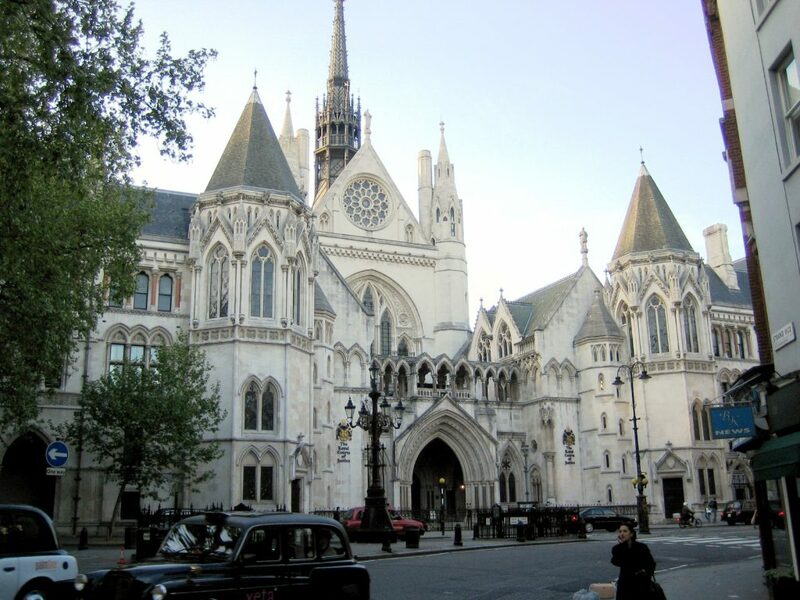 The family would, when damages were settled, have a home of their own again; something they had been denied since having to sell her house in Esher to finance the legal cost of the case, before having to apply for Legal Aid once all her assets had been sold. 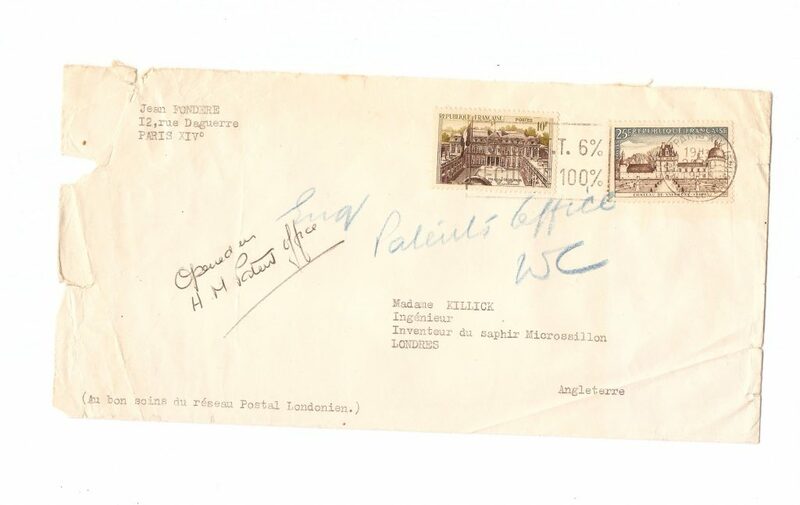 Marie Killick during her stay in London after Pye Ltd lost their appeal the Court of Appeal. Just one of the many reports of Marie Killick’s victory against Pye Ltd when they lost their appeal in the Appeal Court in London. 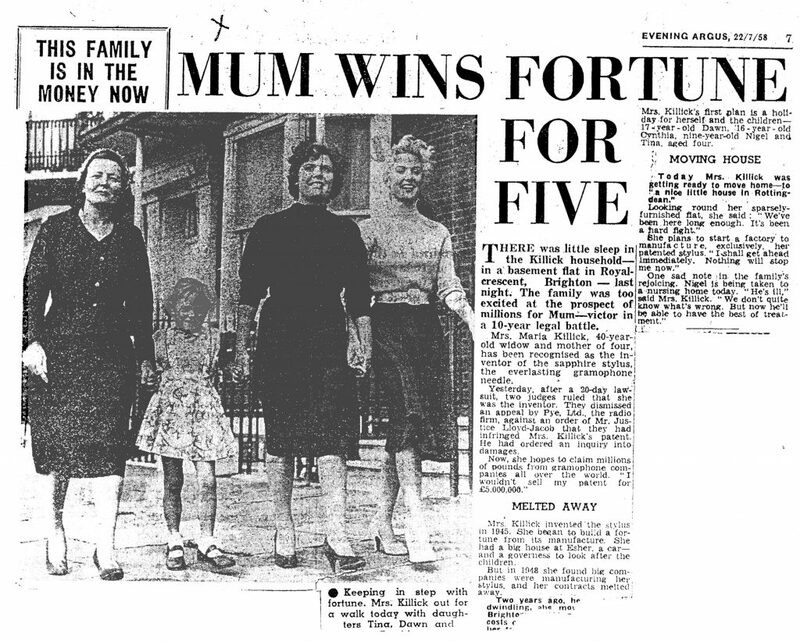 “A 40-year-old widow inventor walked out the Law Courts in London yesterday feeling £5 million better off. It was the end of the Case of the Sapphire Needle – and she had won. ‘But this should mean £5 million to me.’ Two appeal judges had ruled, at the end of a 20-day, £20,000 law suit, that Mrs Killick was the inventor of a sapphire stylus for long-playing gramophone records. 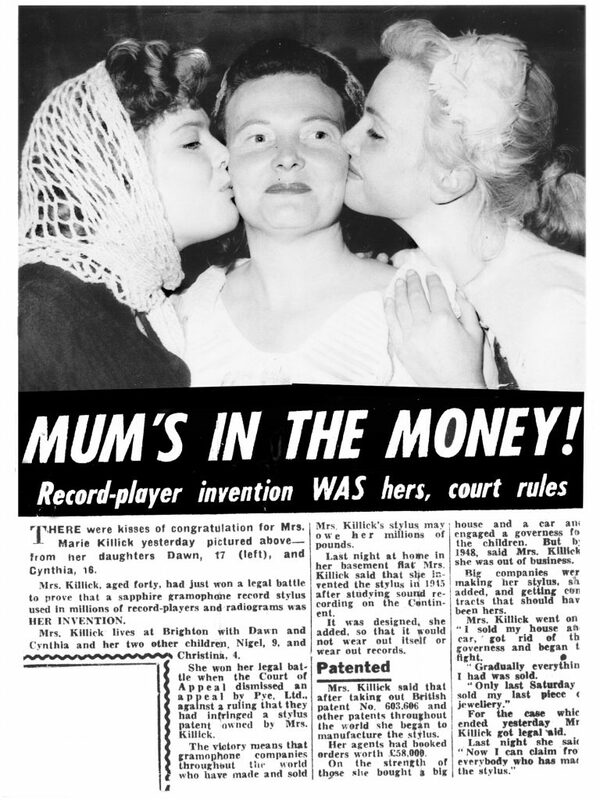 The judges decided, too, that Pye Ltd., the radio firm, had infringed Mrs. Killick’s patent for the stylus. They dismissed an appeal by Pye against a decision of Mr Justice Lloyd-Jacob, who had found Mrs Killick’s patent infringed and ordered an inquiry into the matter of damages. Said Mrs Killick, who started her own engineering business 20 years ago: ‘I had the manufacture of the stylus stopped by an injection. Now I shall start making it myself. This decision means I am the only person who has this stylus. Manufacturers all over the world have awaited this decision. Mrs Killick, who lives at Royal Crescent, Brighton, invented her revolutionary needle during the war when she was making recording cutters for the Forces. In 1945 she took out Patent No. 603606. It lapsed in 1949 for non-payment of fees, but was restored in 1951. “In 1946 I was given a £58,000 contract, but it was broken after I produced £10,000 worth because some of the big combines began making the same type of needle. “In 1948 a company offered me £75,000 for my patent. I refused to sell. The Board of Trade had told me that more than three million sapphire stylus have already been sold. I shall claim royalties on all of them. I have 25 writs ready to serve on companies in Britain. In America I understand, 78 million dollars worth of sapphire styluses have been sold. I intend to sue all companies there which have infringed my patent. Lord Justice Ormerod said yesterday that the needle gave high-quality reproduction for a considerable time. The needle was flattened and bevelled at the end, so that it rode on the sides of the record groove. Pye claimed that Mrs Killick’s patent was too wide to be enforced. “In our judgement there is no reason why she should not frame her claim in the broad way she has.” said the judge. Pye also claimed that their needle was a “flattened sphere” but it still had a bevel on it. This is a draft copy (unfinished) of Marie’s account of her battle to get Justice! "Riches to rags – that's my story. Soon I shall be one the wealthiest women in Britain, a multi-millionairess. But only a few months ago I was living in slum conditions. And cooking my children's food over a backyard fire because I couldn't pay the gas bill. For ten terrible years I fought poverty, misfortune and injustice... I fought them to regain the riches and recognition that were mine – and my children's by right. My fortune balanced on the point of a sapphire stylus – what laymen call a long-playing gramophone-needle. I invented that stylus twelve years ago. Last July, Appeal Court judges ruled that my patent had been infringed – a polite word for 'pirated'. The Court's decision means that I can claim money from firms all over the world who have manufactured and sold my invention... I am owed millions of pounds in damages... One American firm alone admits that its debt to me is over £1,500,000. I've known wealth and success before – won by my skill as a professional engineer. By the end of the war I had my own £100,000 business. I was on my way to the top in those days. In 1947 I landed a £58,000 contract to supply my stylus to a British firm. I was flying all over the world negotiating other contracts … then came the crash. I discovered that large combines were manufacturing and selling my invention... Almost overnight the bottom fell out of my business – and my world. I shall never forget that terrible day when I called my staff together – some of them were earning up to £2,000 a year – and told them they were sacked. It nearly broke my heart, but I had to do it. At this time I had a £15,000 house at Esher, Surrey, with four servants, two secretaries and a children's governess. 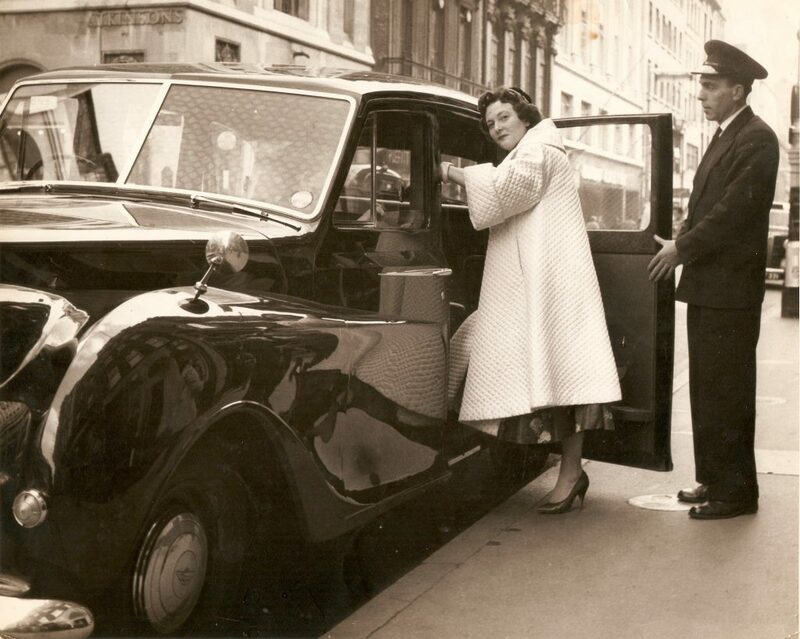 In the garage was a limousine that once belonged to Lord Roseberry. The collapse of my business cut my income from several thousand pounds a year to nothing. To pay off enormous business debts I had to sell my lovely home and sack the servants. I kept the governess to look after the children while I battled for my rights, but soon she too had to go. I also had to sell the race-horse I was having trained. She was a lovely little mare called “Miri”, a daughter of Five Thousand Guineas winner “Abbot's Trace”. I decided to go to Switzerland to collect evidence for the coming legal battle. With me I took the children and my mother. It was while I was in Switzerland that I discovered that I had powerful and ruthless enemies. People who would stop at nothing to hinder or destroy my campaign for justice. One night I was awakened by the sound of a voice in the living-room. Tip-toeing downstairs, I saw the German children's nurse (whom I'd recently hired) speaking on the telephone. She was passing on information that she could have gained only from my private papers. I reported the girl to the local police who soon discovered that her passport and references were forgeries. She had obviously been planted on me as a spy. After nine months in Switzerland I returned to England. My bank balance was dwindling fast, so I took a small cottage in Hertfordshire for a few pounds a week. I couldn't afford a nanny any longer and had to look after my two small daughters as well as handle my business affairs. I thought this was hardship enough – but I didn't know then of the poverty and misery that lay ahead. For the next year or so I had to change homes several times as the rent became too much of a strain on my slender resources. I dragged myself and my children to country cottages, to boarding-houses and cheap flats in seedy parts of London. (I moved over 80 times during my ten-year campaign). About this time I was expecting a baby, my son Nigel, now nine. It was a difficult birth – a ten-months baby – and for two months I was critically ill in a London hospital. Those two months were hell. I lay in my hospital bed, weak and sick with worry about my children and having temporarily abandon my fight for them. I shall never forget leaving hospital with my new baby – to face life in a one-room-and-kitchen flat in London's Lancaster Gate. It was just a slum, but it was all I could afford. Can you imagine trying to bring up three children – two girls aged eight and seven, and a baby – in one room? When that room is doubling as a campaign headquarters? And all on £15 a month? My day began before six o'clock in the morning when I got up and rushed through the housework, fed the children and got the girls off to school. Then my real work began, seeing accountants, lawyers and collecting and compiling information. I had more papers and legal documents than furniture and food in the ghastly hovel! Often I had to take the baby with me as I dragged from one office to another, all over London. Back in that dreadful room I worked till the early hours of the morning writing up notes and studying law books. I was exhausted and already suffering from malnutrition. Often my food was bread and cheese. Like any mother, I starved to feed my children. Some nuns at a local convent heard that I had fainted in the street from hunger and exhaustion. I was invited by the Mother Superior to a special meal. I shall never forget that feast – chicken and fruit salad and cream. It was the best meal I'd ever eaten – or am ever likely to. I sold all my beautiful clothes, most of them Paris models, to buy food and fuel. I was really desperate before I sold the jewellery my mother gave me. I was on my last legs when some kind friends in Putney took me and my children into their home for a few months. But I couldn't impose on their generosity for ever, and took a small flat nearby. It wasn't long before that large wolf was back at the door. I got into debt for rent, gas and electricity. The tradesmen refused to serve me. The final humiliation was having the gas and power cut off and having to cook the children's food over a fire in the garden. The children thought it was great fun! The neighbours thought I was mad. 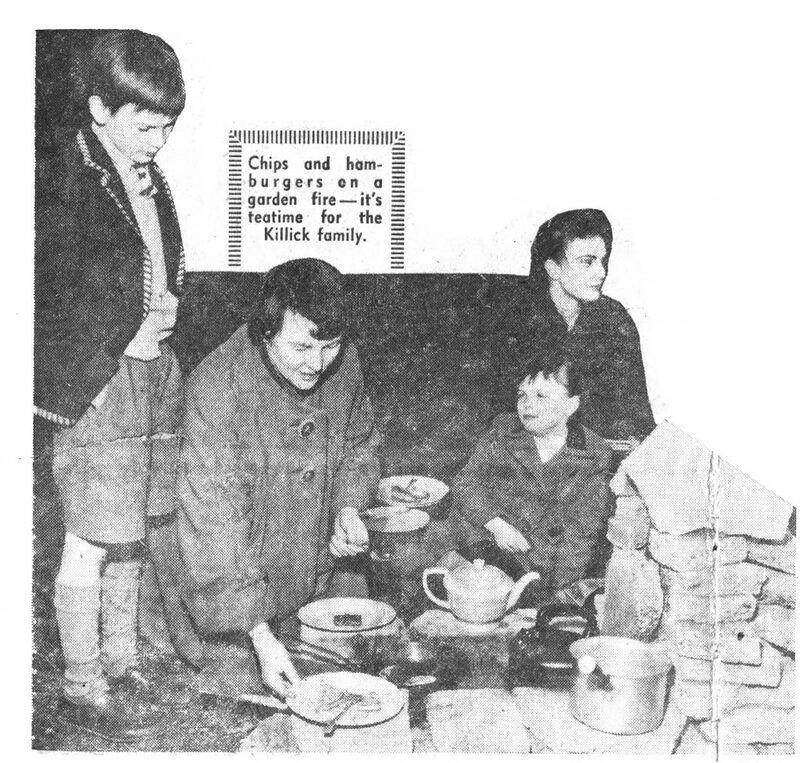 Cooking in the garden when gas and electricity were cut off. A local welfare officer advised me to leave the children with foster-parents until my health and fortune improved. It broke my heart to have to agree. I soon realised I couldn't go on living without my children. To raise money I sold the remaining £1,000 worth of my precious engineering equipment. I'd been hoarding it for the happy day when I'd need it again. With the money I rented a furnished house at Towcester, Northants, and sent the girls to a local private school. For a while life became a little more pleasant. But the relentless legal battle went on, eating up my money and strength. Soon I was back in seedy one-roomed flats in the mean streets of London. Rumours went round that I was an “odd character”. Why, people asked, did a woman leave a young family to look after themselves all day? Why did she leave the house early every morning, carrying a bulging brief-case, and not return until after dark? What was she up to? I got poison-pen letters that denounced me as a fiend and monster. Other letters threatened my life. For several days a police car parked near my flat, but I was never approached. I suppose the police were investigating some wild report about my “suspicious conduct”. Things became so unbearable that in 1953 I moved to Lowestoft and rented a tiny cottage there." The music industry was shaken by the judgement against Pye Radio for infringement. Her patent case had made legal history. Letters of congratulations poured in. 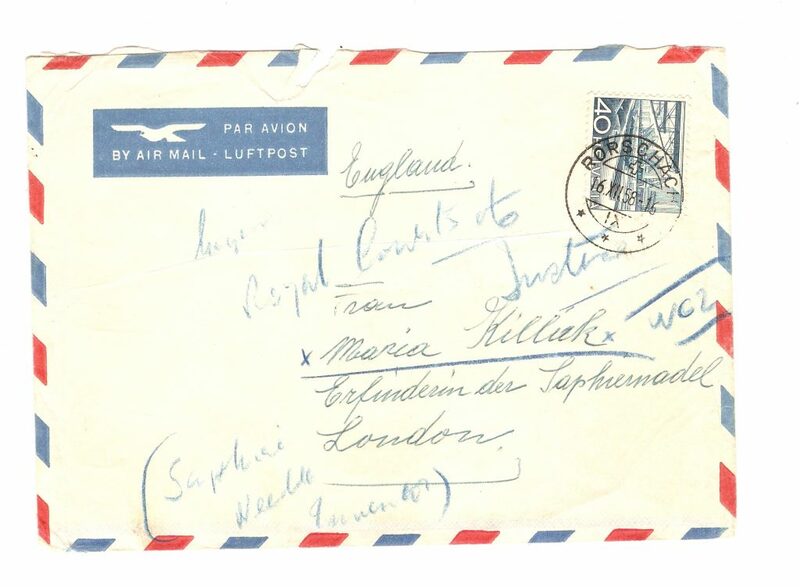 Some address only to Madam Sapphire, The Patent Office, London and still they found their way to Marie, who was staying at the Piccadilly Hotel in London at the time. 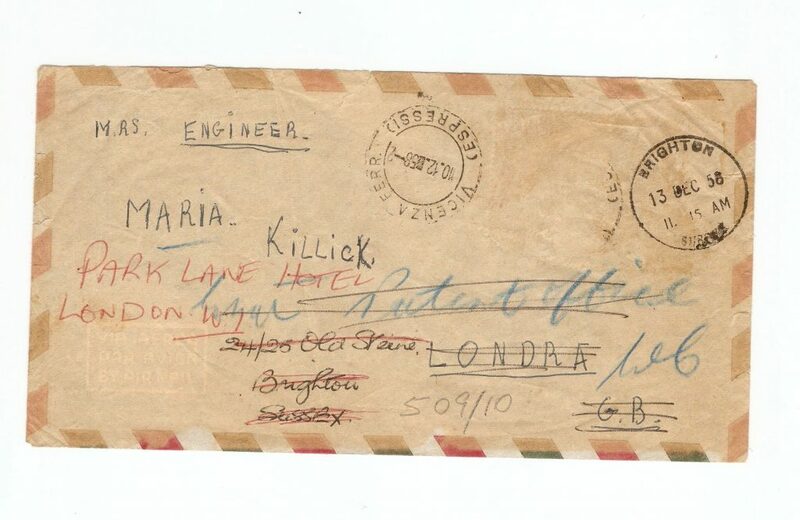 The ink on the envelopes have faded with time but the memories of their arrival in the Killick household has not; there were sackfuls. 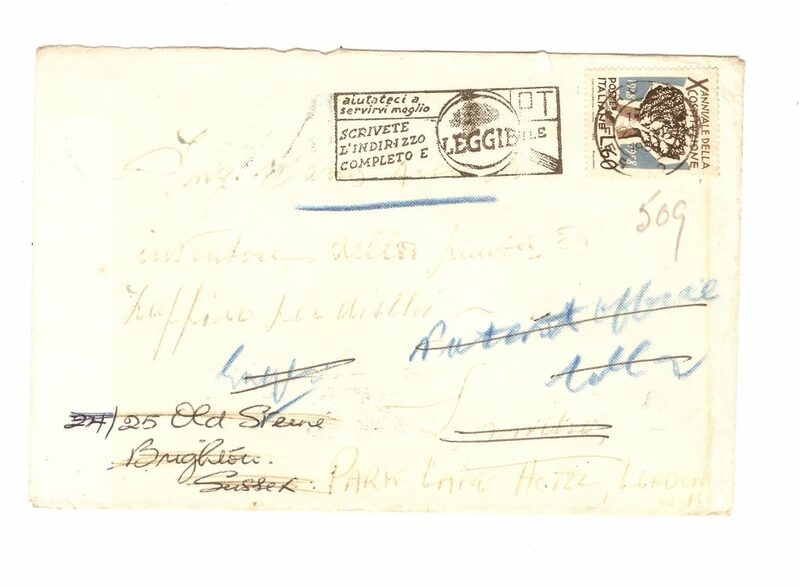 There were also, of course, begging letters and even one or two proposals of marriage! The culmination of her legal victory was a very busy time for Marie as, with her accountants and solicitor, she set about to get down to the business of accessing her damages from Pye Ltd.